Mostly I’ve been knitting for others this month, a simple pair of fingerless gloves for Dawn as part of Mousy Brown’s Celebration Swap (knitted with the gorgeous green yarn I bought at Woolfest, destined for a Circles Scarf, but it looks lovely as gloves and has gone to a good home). 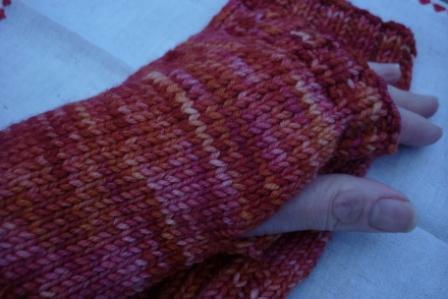 Seam free fingerles gloves, pattern to follow. 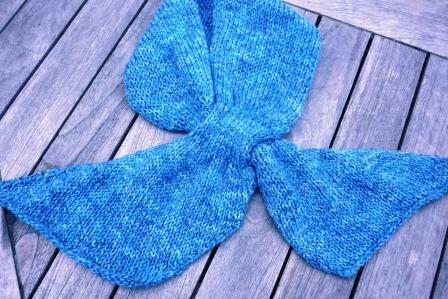 Knitted in Waratah Fibres yarn. 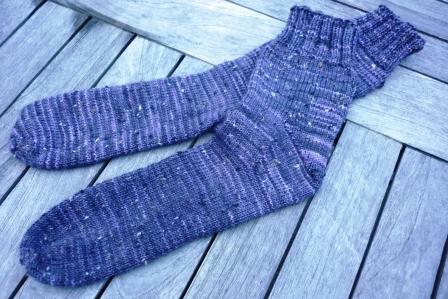 Another pair of fingerless goves, knitted in Aurucania Tocano, to match the scarf I made last winter for my Mother -in -law. 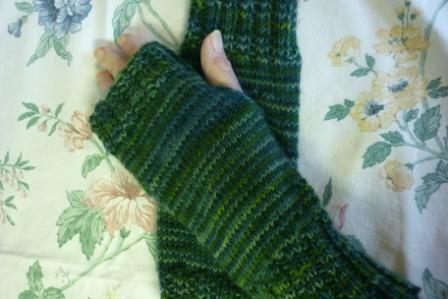 Seam free fingerles mittens (as above). Yarn: Aurucania Tocano available from Fibre and Clay. For me – a pair of socks in a new yarn from Fyberspates called Gloucester Tweed – a lovely nubby yarn which is beautifully soft to knit with and in a gorgeous colour. I shall be knitting with this again you can bet, maybe a shawl or gloves next time. Another Movie Star scarf in Louisa Harding’s Ondine, destined as a Christmas gift (the recipient doesn’t read my blog so I safely share a photo here). 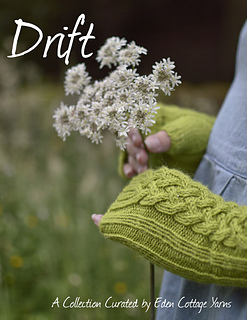 This is a very quick and simple knit from Joelle Hoverson’s More Last Minute Knitted Gifts. 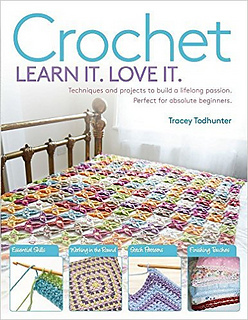 This is a book I refer to often would make a great gift for the knitter in your life. 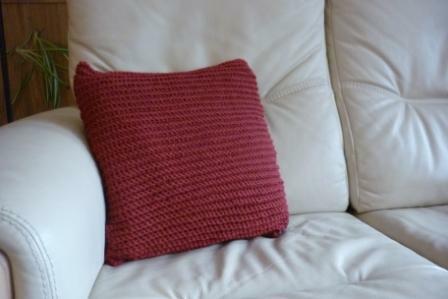 A crochet cushion, whipped up on a train journey into Manchester, using my favourite Double Crochet through the back loop only for a gorgeous textured finish. It only took 3 balls of Drops Alaska to make. And, another cushion, also crocheted in Debbie Bliss Cotton DK, this one is for my favourite garden chair, so won’t see much use until the spring time now. Crochet pattern to follow, yarn Debbie Bliss Cotton DK (white yarn - Rico Cotton Essentials DK, available from Crafty Yarn). It’s only when I come to record what’s been on my hook (and my needles) each month that I realise how busy I’ve been. The past two weeks have been mostly about swatching, trying out colour combinations and techniques I learnt on my colour course at Rowan Mill. I have come to the conclusion I’m definitely a “process knitter”. I can happily swatch and test knit for hours without a finished garment or project to show for my endeavours. Maybe that’s why I can happily sell or gift my knitting and crochet. 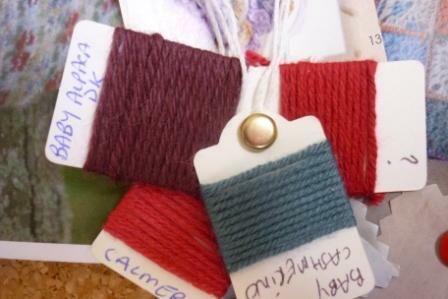 For me it’s all about the skills you learn, playing with yarn and colour. 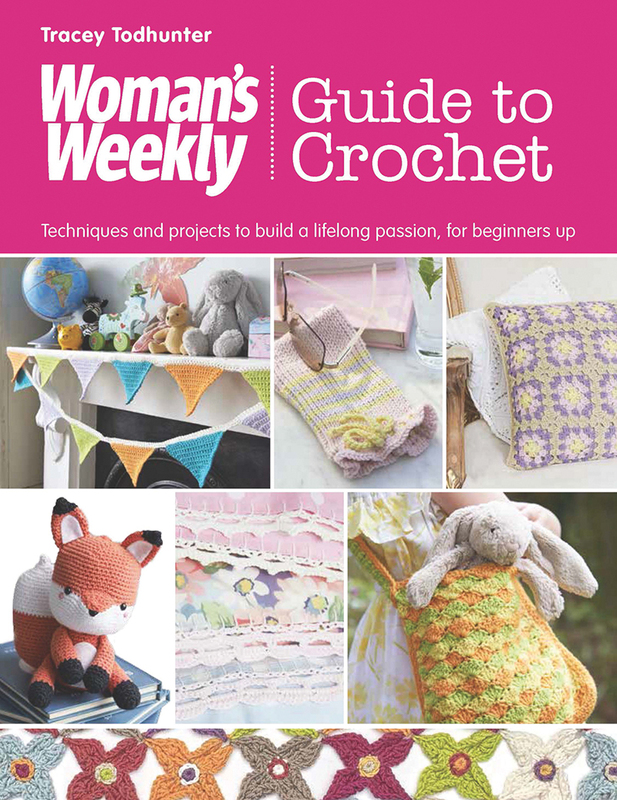 What kind of knitter are you – have you ever thought about it – or do you just love to knit? 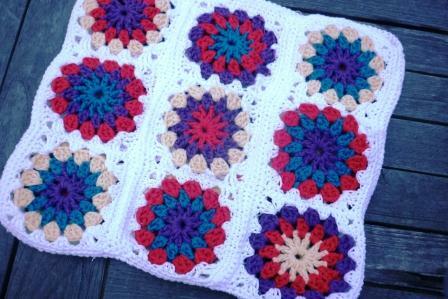 PS: Many of these projects feature my own patterns. I’m still working on the best way to make them available to you all. Writing up patterns takes longer than you might think! They certainly did go to a good home! The yarn is lovely, in colour and texture, and much appreciated. Love the pokey-through scarf, I have a tiny white one from when I was little. You certainly have been busy! I too love the ‘pokey through’ scarf – I knitted a similar one (in garter stitch) when I was seven – it was the first thing we knitted at school!! 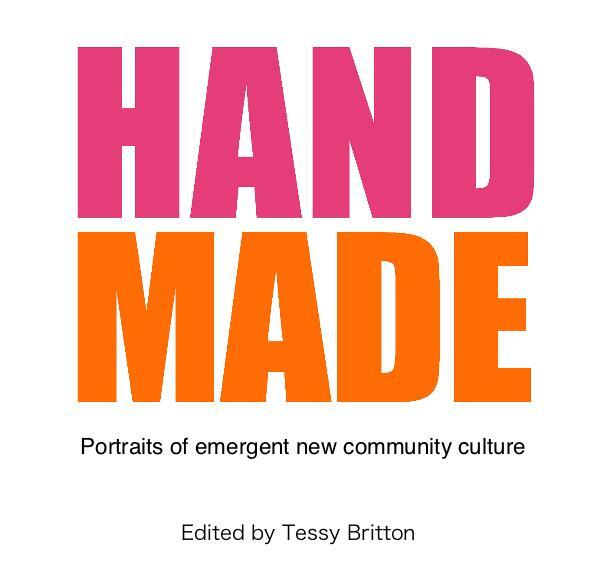 I first knitted for payment when I was at secondary school, and for many years knitted up orders for various wool shops – not particularly well paid, but something that was easy to do when my son was little. What a colourful collection of completeness! Love the colours, and long for feelyvision! The swatching looks interesting too. I’m finding that as I am relatively new to felting I learn something new in every piece, enjoying the process…most are made to give away, although I’m finding it hard to part with the pumpkins! 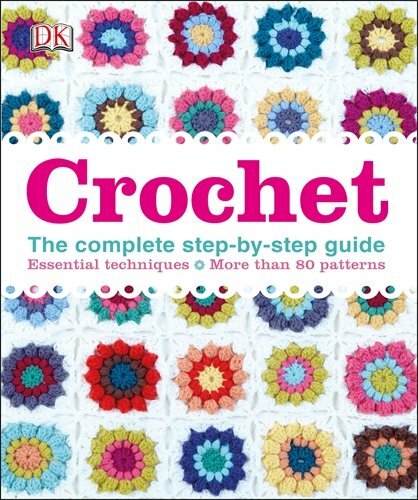 Thinking of you writing up the patterns!